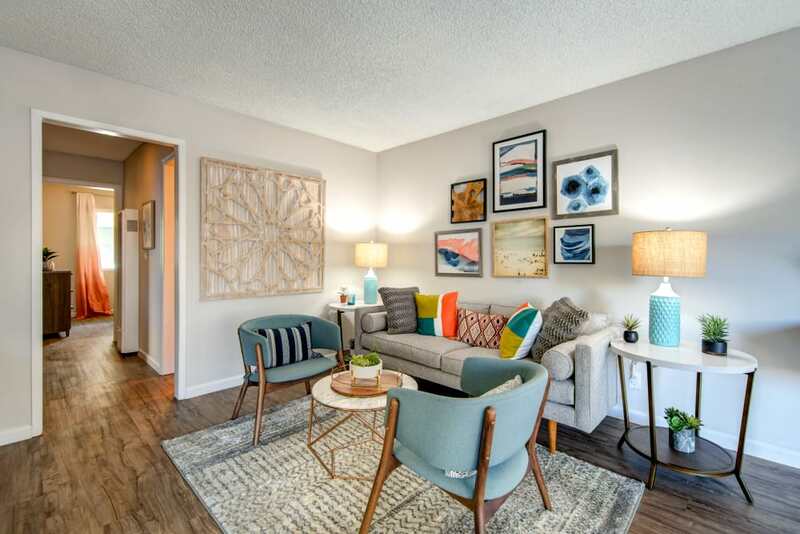 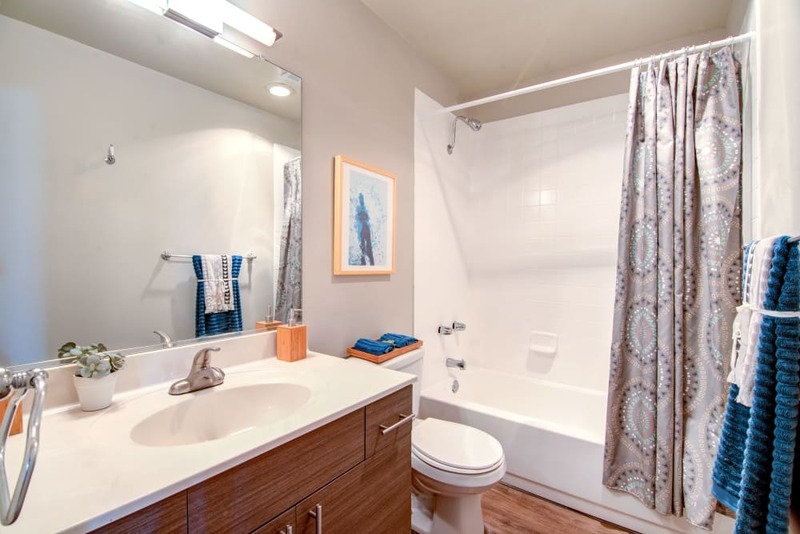 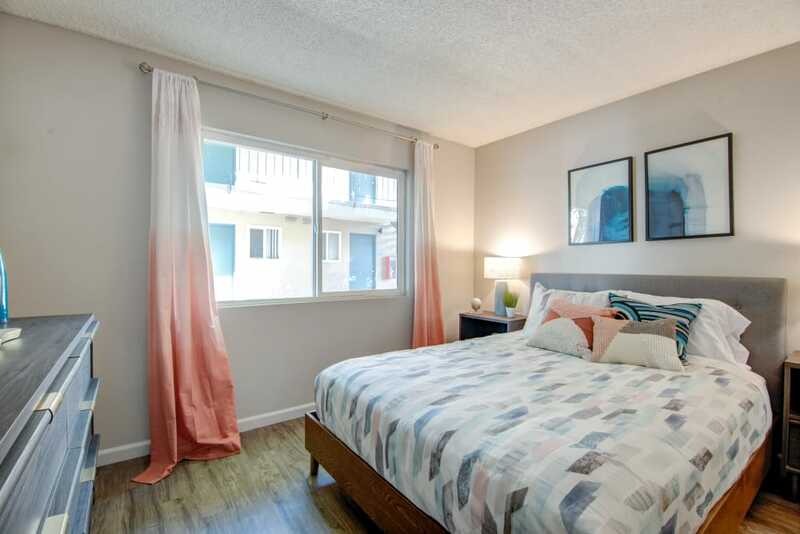 Take a look at our photo gallery to help envision your life at Villas at Carlsbad. 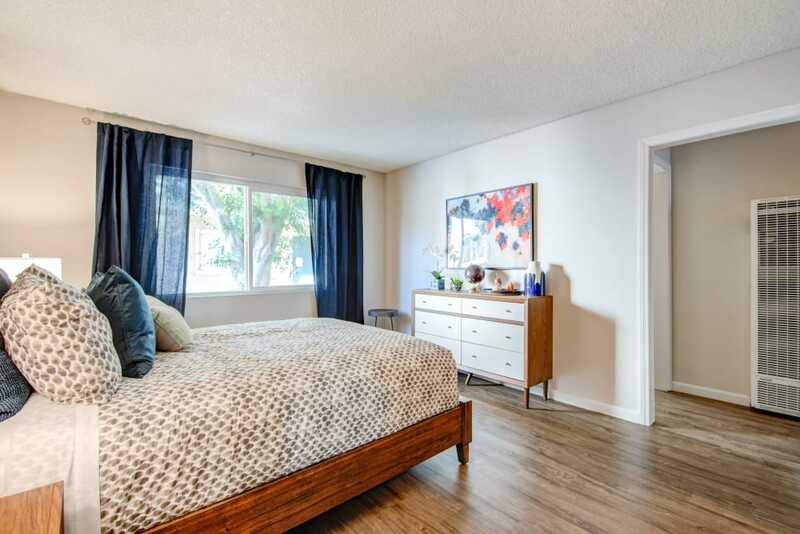 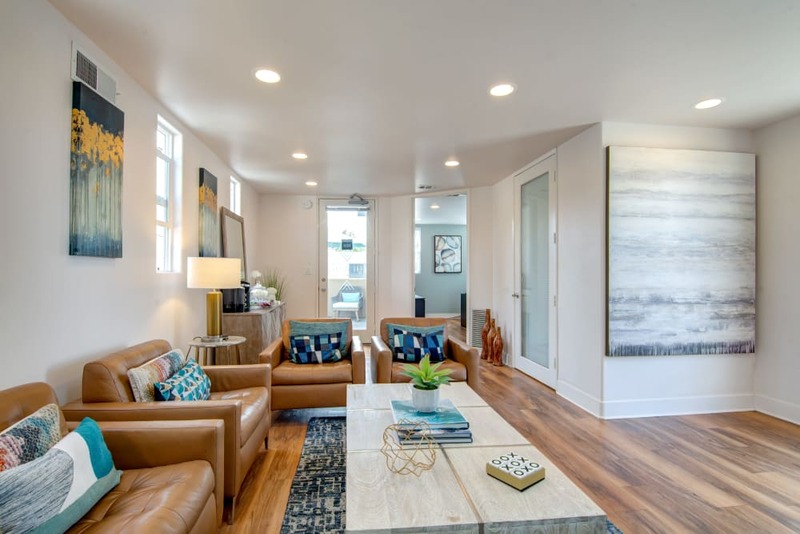 Imagine walking into your studio, one, two, or three bedroom apartment and being invited in by the sleek, wood-style flooring. 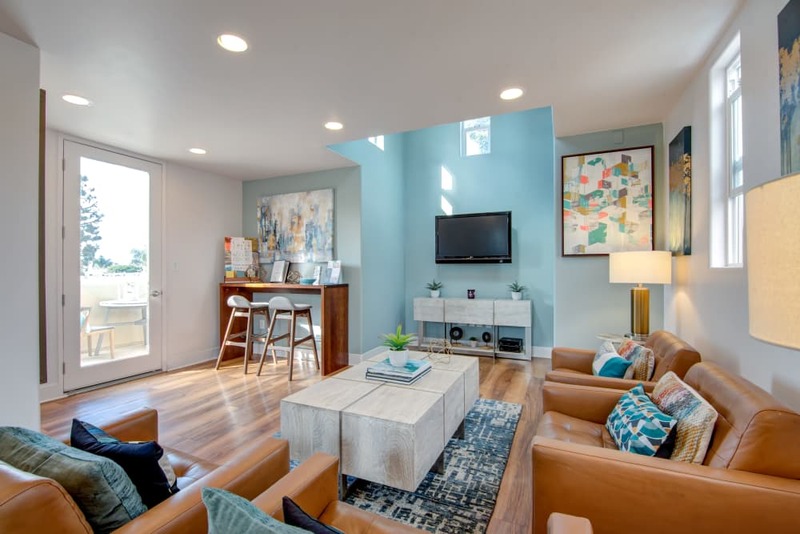 Big windows offer beautiful natural light throughout. 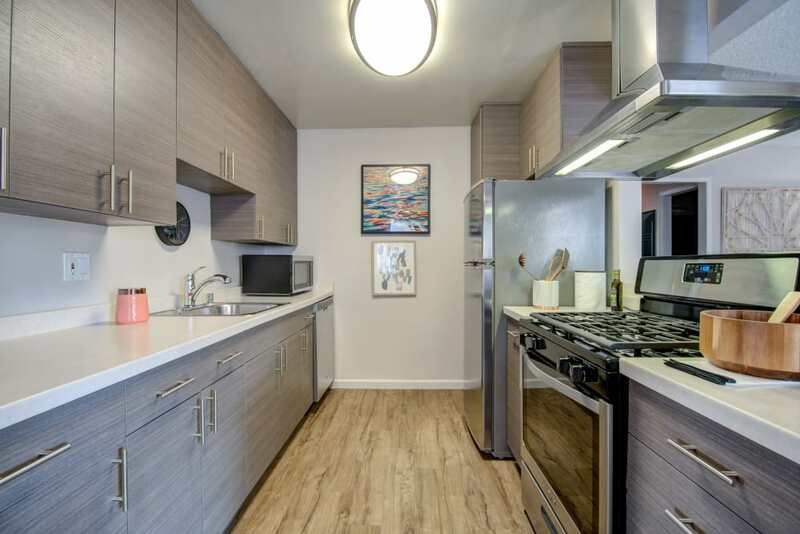 Modern amenities like stainless-steel, energy-efficient appliances and custom cabinetry in select homes add sophisticated touches to your fully equipped kitchen. 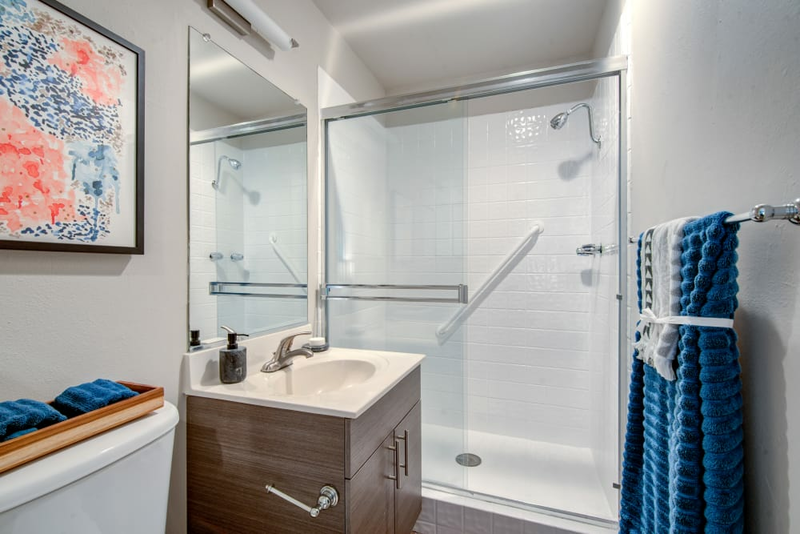 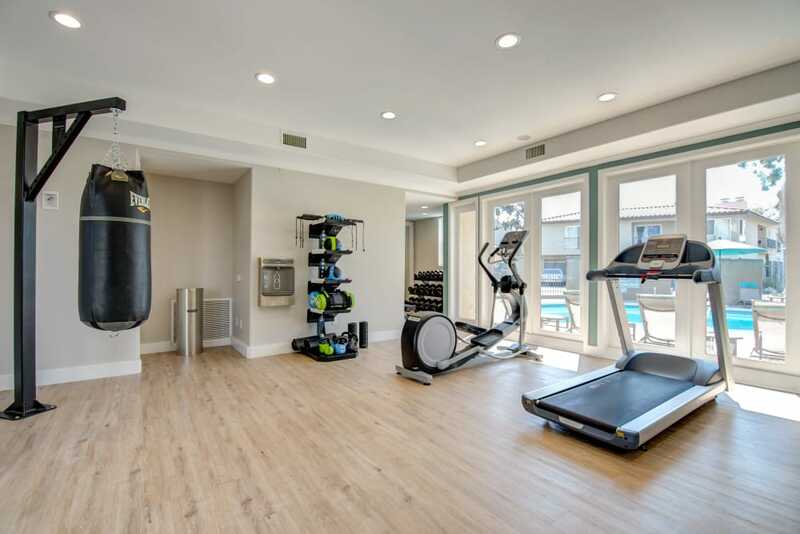 You’ll love the community amenities we have to offer, too. 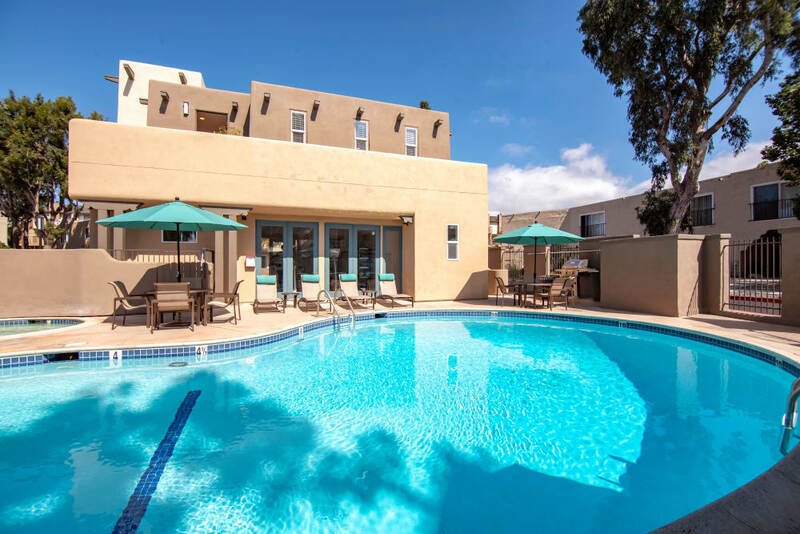 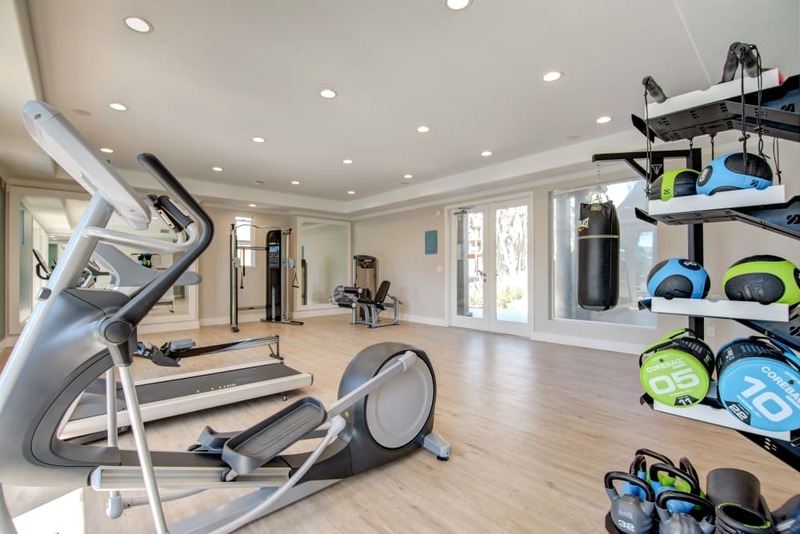 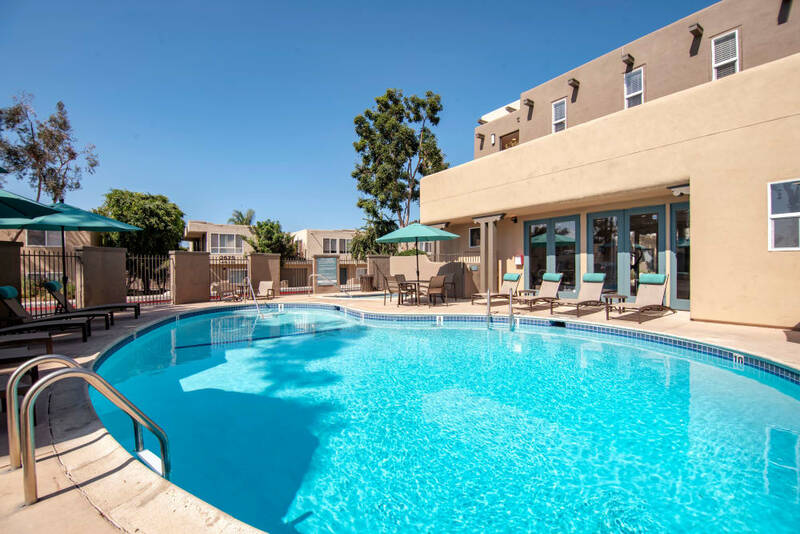 From our sparkling swimming pool and luxurious spa to our 24-hour onsite fitness center, we have everything you need to enjoy the Carlsbad lifestyle. 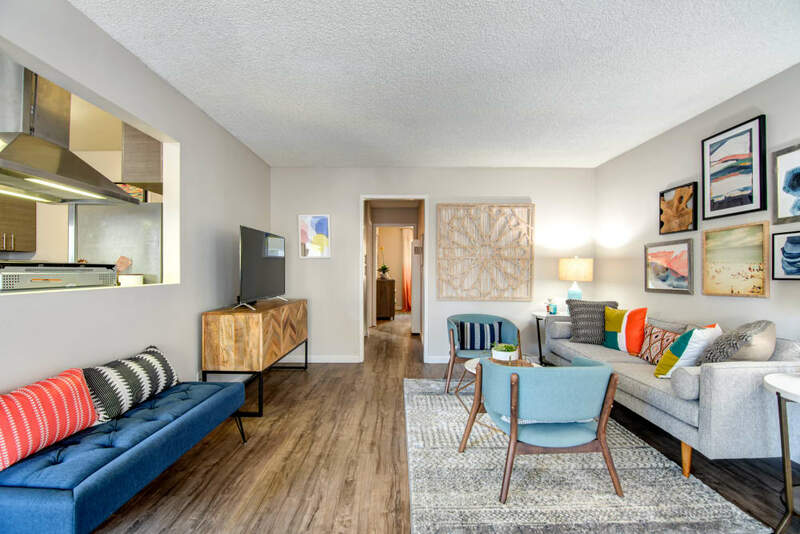 Your four-legged friend will love living here as well, as our onsite dog park is the perfect place for them to let off some steam. 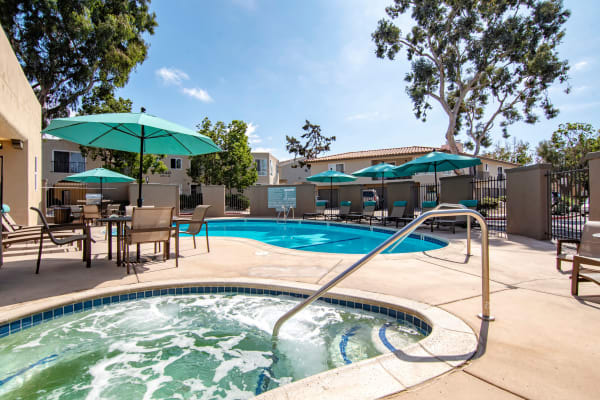 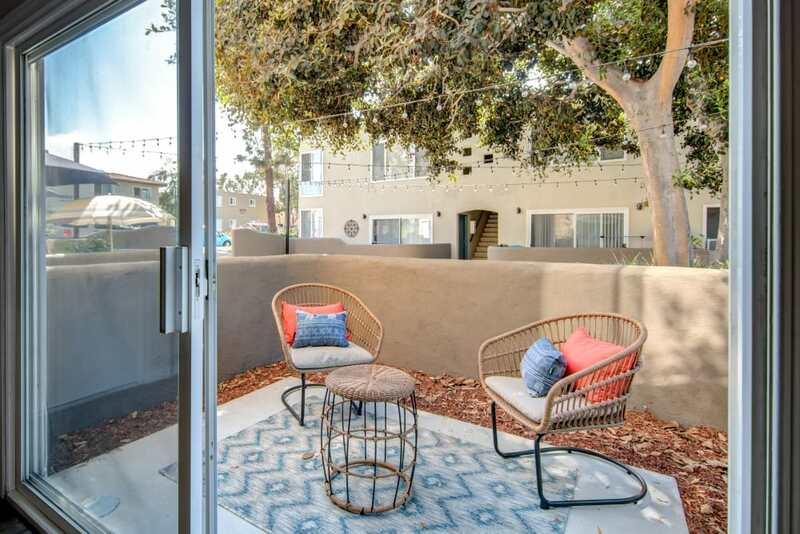 Create a luxurious life at an affordable price when you choose to live at Villas at Carlsbad.